Appelbaum, P. S., Lidz, C. W., & Klitzman, R. (2009). Voluntariness of consent to research: A preliminary empirical investigation. 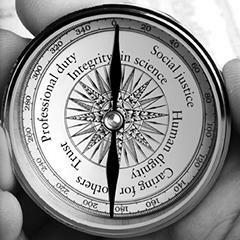 IRB: Ethics & Human Research, Nov. –Dec. 2009, 10-18. Brown, E. J. & Hill, M. A. (2005). Perceptions of HIV risks and prevention strategies by rural and small city African Americans who use cocaine: Views from the inside. Issues in Mental Health Nursing, 26, 359-377. Chenneville, T., Lynn, V., Peacock, B., Turner, D., & Marhefka, S. L. (2015). Disclosure of HIV status among female youth with HIV. Ethics and Behavior, 25 (4), 314-331. Cohn, J. M., Ginsburg, K. R., Kassam-Adams, N., & Fein, J. A. (2005). Adolescent decisional autonomy regarding participation in an emergency department youth violence interview. The American Journal of Bioethics, 5(5), 70-74. Couper, M. P., & Singer, E. (2009). The role of numeracy in informed consent for surveys. Journal of empirical research on human research ethics: JERHRE,4(4), 17. Eldridge, G. D., Robinson, R., Corey, S., Brems, C., & Johnson, M. E. (2012). Ethical challenges in conducting HIV/AIDS research in correctional settings. Journal of Correctional Health Care, 18(4), 309-318. Kapp, S. A. (2000). Pathways to Prison: Life Histories of Former Clients of the Child Welfare and Juvenile Justice Systems. Journal of Sociology & Social Welfare, 27, 63-74. Koocher, G. P. (2002). Using the CABLES model to assess and minimize risk in research: control group hazards. Ethics & behavior, 12(1), 75-86. Lakes, K. D., Vaughan, E., Jones, M., Burke, W., Baker, D., & Swanson, J. M. (2012). Diverse perceptions of the informed consent process: Implications for the recruitment and participation of diverse communities in the National Childrens Study. American Journal of Community Psychology, 49, 215-232. Mecca, J. T., Medeiros, K. E., Giorgini, V., Gibson, C., Mumford, M. D., & Connelly, S. Biases and compensatory strategies: the efficacy of a training intervention. Ethics and Behavior, 26 (2), 128-143. Oransky, M., Fisher, C. B., Mahadevan, M., & Singer, M. (2009). Barriers and opportunities for recruitment for nonintervention studies on HIV risk: Perspectives of street drug users. Substance Use& Misuse, 44, 1642-1659. Quirk, M. E., Godkin, M. A., & Schwenzfeier, E. (1993). Evaluation of two AIDS prevention interventions for inner-city adolescent and young adult women. American journal of preventive medicine. Rajabiun, S., Mallinson, R. K., McCoy, K., Coleman, S., Drainoni, M., Rebholz, C., & Holbert, T. (2007). Getting me back on track: The role of outreach interventions in engaging and retaining people living with HIV/AIDS in medical care. AIDS Patient Care and STDs, 21(Supp. 1), S20-S29. Scott, G. (2008). They got their program, and I got mine: A cautionary tale concerning the ethical implications of using respondent-driven sampling to study injection drug users. International Journal of Drug Policy, 19, 42-51. Stevenson, H.C. & White, J. J. (1994). AIDS prevention struggles in ethnocultural neighborhoods: why research partnerships with community based organizations can’t wait. AIDS Education Prevention, April 6(2), 126-139. Swenson, R. R., Hadley, W. S., Houck, C. D., Fance, S. K., & Brown, L. K. (2011). Who accepts a rapid HIV antibody test? The role of race/ethnicity and HIV risk behavior among community adolescents. Journal of Adolescent Health, 48, 527-529. Teti, M., Murray, C., Johnson, L., & Binson, D. (2012). Photovoice as a community-based participatory research method among women living with HIV/AIDS: ethical opportunities and challenges. Journal Of Empirical Research On Human Research Ethics: JERHRE, 7(4), 34-43. Traube, D. E., et al. (2013). African American Children’s Perceptions of HIV-Focused Community-Based Participatory Research. Journal of Empirical Research on Human Research Ethics, 8(1), 79-90.